I’m running an Announcement system thru the browser n I need to auto start Chrome in Full Screen mode (F11) every time the PC start. (Yes, full screen mode not the maximize mode.) 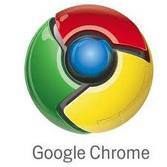 I use Chrome because it has a very nice full screen mode with big viewable area plus i do not like Internet explorer! « How to check Zimbra Version without ssh access? Hei, before kiosk it must be one “-” or two “–” ? 1. Download the extension “One Window” for chrome. The new version works pretty well. 2. Instead of –kiosk, try –start-fullscreen. 3. Try it and be amazed! I used this workaround for applying MAP tests, althought at the end the kiosk mode convinced me more for this specific task. If you want to “go out” while in kiosk mode, press the Start button in your keyboard, and that will make the start bar appear and let you to change between programs! (or minimize chrome using the button “Show desktop” after pressing the start button). For closing chrome in kiosk mode, press Ctrl+W (it also works in any mode). Thank you very much also for the list of Peter’s commands. Anyone have luck getting this to work? My targets do not read anything like this. My target shows the follwing “C:\Program Files (x86)\Google\Chrome\Application\chrome.exe” When i add anything after it it doesn’t allow me to save saying invalid location. â€“kiosk and â€“start-fullscreen are NOT fullscreen! kiosk doesn’t close with F11 (need to kill the program) and -start-fullscreen is actually start-maximized (leaves the panel/taskbars visible). Peter Beverloo has compiled a list of LOTS of chrome command line switches. It has helped me greatly. So this is the exact thing I’m looking for, unfortunately if Chrome is already running (even in the background) kiosk mode will not work, it will simply open in a new tab. Is there any way around this? Like Underwood said, this is not F11 mode… its kiosk mode. And it’s driving me crazy because I now have a specific need where I need to launch Chrome in true F11 mode on Windows… where it opens in fullscreen, but still allows someone to exit using F11 (or something other than having to CT R L-ALT-DEL to open task manager and kill the process) . Sure seems like –fullscreen would’ve been an easy switch to include. –kiosk is nice for most circumstances, but sometimes you JUST want fullscreen. Will this work for android media player? Thats great, but now how do I exit? F11 doesn’t work as it does in full screen mode. That almost does what I want. If Chrome isn’t open, that works fine. The simple issue is that some things work better in Kiosk mode and some don’t. If I have Chrome open for general browsing, I can open a new window with a command line, but even if I use the –new-window tag with the –kiosk tag, it won’t open in kiosk mode. What else do I have to do to get this to work? Thanks a ton. I am trying to automate a web-based application and this trip suits me the best. This is not the F11 Fullscreen-Mode, this is the Kiosk-Mode that is total different from Fullscreen! Thanks for the tip, just one difference from the manual F11 full screen option is that, when the new shortcut is started, the bookmark appears at the top of the screen.